Shuttle Service runs Friday through Sunday from 7 a.m. to 5 p.m. Granite Mountain Hotshots Memorial State Park offers a shuttle service Fridays-Sundays from 7 a.m. to 5 p.m. This service is free, with a recommended $5 donation. Proceed past the park into Yarnell and park along Highway 89. Last shuttle pickup is 4 p.m. 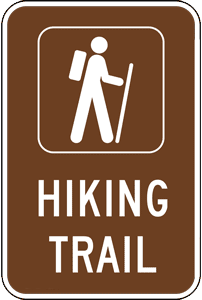 The park contains two hiking trails, the 2.85-mile Hotshots Trail from the parking lot to the Observation Deck, and the Journey Trail, a .75-mile trail down to the Fatality Site. Entrance and exit from the park can only be done at the Hotshots parking lot, you must hike 7-miles round trip to return. You may leave behind momentos of your hike at the Tribute Wall, located at the end of the Hotshots Trail. Please do not leave objects in the gabion baskets at the Fatality Site. Granite Mountain Hotshots Memorial State Park was dedicated in 2016 as a place to remember the 19 Granite Mountain Hotshot Firefighters who were lost on June 30, 2013, while fighting the Yarnell Hill Fire. We invite you to hike the trail to better understand the experience of these men as well as to appreciate the beauty of the town of Yarnell and the surrounding areas. Hike the Hotshots Trail from the parking lot trailhead up to the overlook where you'll see sweeping views in every direction, and perhaps leave a memento on our remembrance wall. Or continue your hike down the Memorial Trail, where you can pay your respects at the site where the Hotshots were recovered. 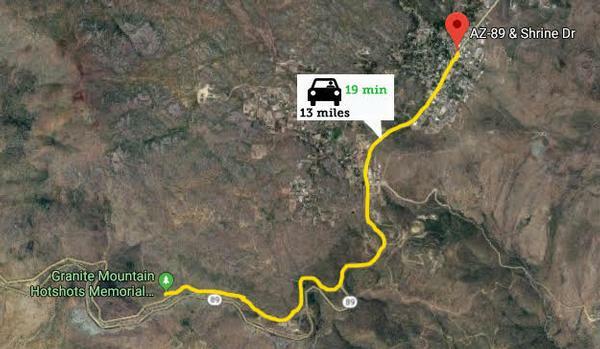 The hike is approximately 3.5 miles long from the trailhead to the Fatality Site, for a full length of about 7 miles.